You probably don’t know it, but your future earning potential over the course of your professional life is one of your biggest assets. Yet many consumers choose not to insure their potential income in the case of illness, disability, death or unemployment. Income protection insurance, or salary insurance, will ensure that you continue to receive a monthly payment in the instance that you are unable to work due to a disability, illness or unemployment. In short, you are protecting your ability to earn a monthly income! There is a chance that you may already have some type of cover in the form of group life and disability cover through your employer. However, pay-outs for disabilities and illness in these schemes are often in the form of single lump-sum payments or it only pays out in the case of permanent disabilities. Furthermore, salary insurance is often bundled together with a life insurance plan. Many schemes will not ensure that you receive an income for the remainder of your working life, and that is where salary insurance comes in. Check your current insurance plans, schemes and coverage to find out whether you have salary insurance coverage or not. Salary insurance is based on your current salary. Proof of salary is required to determine the amount you want to ensure, and you will also need to present proof of disability, illness or unemployment should you wish to claim. Salary insurance usually starts paying out after you have been out of work for three months, but it can vary from one policy to the next. Salary insurance can cover your full salary after tax for about two years, thereafter the amount decreases depending on your policy. 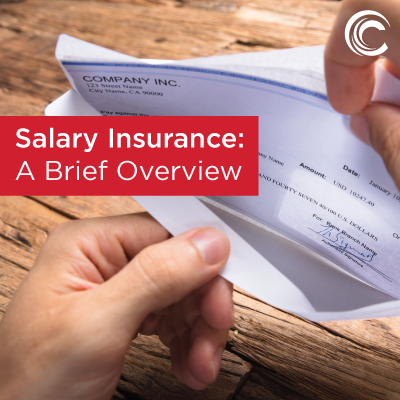 The exact amount paid out and the period for which it will pay out, will be stated in your salary insurance policy. It has recently been reported that according to a study by the Association for Savings and Investment South Africa (ASISA), South African’s generally tend to underestimate the impact disability and illness can have on their financial security. 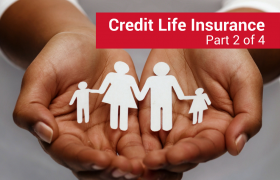 Many families typically face a payment shortfall exceeding R1 million! 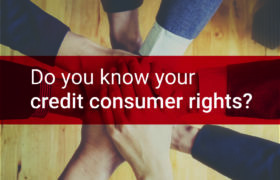 Consumers have to make a choice – pay more on monthly instalments today, or risk struggling to cover your living expenses in the event of illness, disability or unemployment. We advise that you find out what coverage you currently have. Make sure you have adequate cover for your family and dependants in the event that you become ill, suffer a debilitating injury or face unemployment. During these tough financial times, it is better to be safe than sorry!